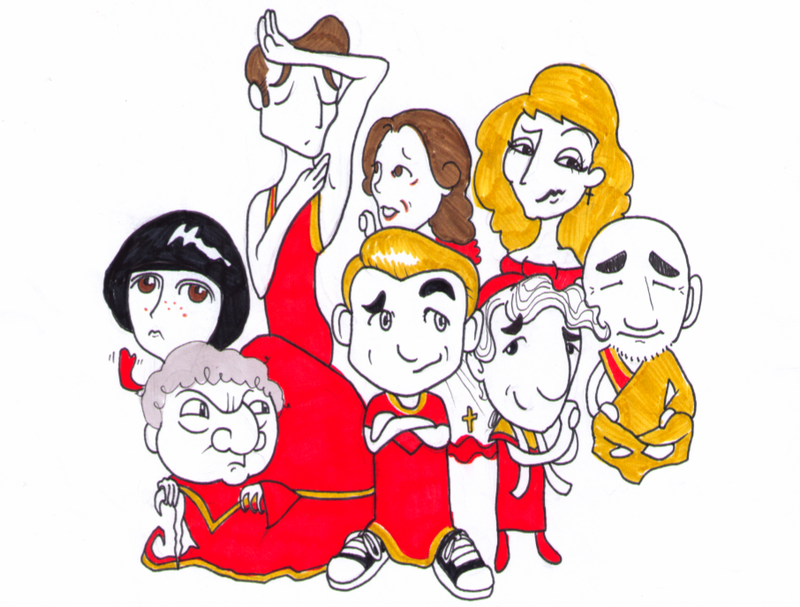 MAY 27, 2013 – POPESICAL in Concert at Joe’s Pub! Denis Jones directs and Joe Kinosian music-directs this concert of songs from POPESICAL at New York’s venerable Joe’s Pub, featuring the stellar cast of Marshal Kennedy Carolan, Madeleine Doherty, Natalie Charle Ellis, Patti Murin, Jason Michael Snow, David Perlman, Lindsay Nicole Chambers and Tally Sessions! Along with several incredible performers under the direction of Marlo Hunter and an incredible band under the music direction of Joe Kinosian, I present “All Overett: The Songs of Adam Overett” at Ars Nova. Check out clips on my YouTube page! The long-awaited release of the CD No More Revivals, which contains songs selected from the BMI Workshop (including”My Sky” by me! ), is celebrated at this release concert at the Snapple Theatre on 50th Street! FORBIDDEN BROADWAY star Natalie Charle Ellis sings “My Sky” (performed on the CD by Stephanie J. Block, with orchestration by Tony-winner Bruce Coughlin) … while I sing “Leaving St. Urbain Street” by Alan Menken & David Spencer, and “Women Leave” by Sara Wordsworth and Linda Dowdell. Check the info on Playbill.com! JAN 31, 2011 – My concert at the D-Lounge! New York Theatre Barn presents NYTB IN THE D-LOUNGE with music of Adam Overett and Peter Saxe! 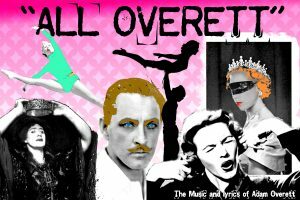 My half of the concert is called “ALL OVERETT” …. Meet the Double-Threat Trio: three unfortunate performers who can’t master their third skill to save their lives. Meet a starry-eyed young girl who wants to be a clinically insane Scottish murderess when she grows up. Meet the grandson from Dirty Dancing (you know, the one with “two hotels”) and find out what he REALLY wants to say to the Jennifer Grey character. Meet other people too. Oh, you don’t know them? YOU SHOULD. They’ll be played by the likes of Elena Shaddow (La Cage Aux Folles), Amy Justman (Company), Amanda Leigh Cobb (The Importance of Being Earnest), Michael Lluberes (Dirty Dancing), Aspen Vincent (American Idiot), Jaclyn Huberman (I Love You Because), Kristine Reese (Wicked), Craig Laurie (Jersey Boys), F. Michael Haynie (We The People) and Adam (The Light in the Piazza) himself. Direction by Dev Janki (Zanna Don’t), musical direction by Andy Einhorn (Sondheim on Sondheim). Adam will be the featured composer/lyricist in the Monday Nights, New Voices concert series at the Duplex! Producer Scott Alan fills the stage with some of the hottest young talent not YET on Broadway. Five performers will sing five of Adam’s songs, and he’ll be performing a sixth one himself. Norm Lewis and Adam host, featuring Shaleah Adkisson, Charlie Levy, Shane Orser, Ian Joseph and Rachel Potter. Check out these YouTube videos from the performance! The cast of DIRTY DANCING puts on a variety show to benefit the Joffrey Ballet. Produced by Kaitlin Hopkins, who plays Marjorie Houseman in DIRTY DANCING, the benefit features performances by most of the cast, all doing material of their own choosing. Adam writes and performs a number especially for the occasion: “By Way of Introduction,” where he introduces himself as an actor who sings … surrounded by this cast of dazzlingly stellar dancers. Joining Adam in performing the song are DIRTY DANCING cast members Lauralyn McClelland, Charlie Logan, and Easton Smith, with choreography by Easton Smith. The event is hosted by Joffrey alumna Britta Lazenga (Penny in DIRTY DANCING) and Gary Lynch (Moe Pressman in DIRTY DANCING).